A few days ago when the weather is nice - nor hot neither cold - I went to Myeongdong with my friends. This is the first time in Korea i buy an ice cream. Haha. 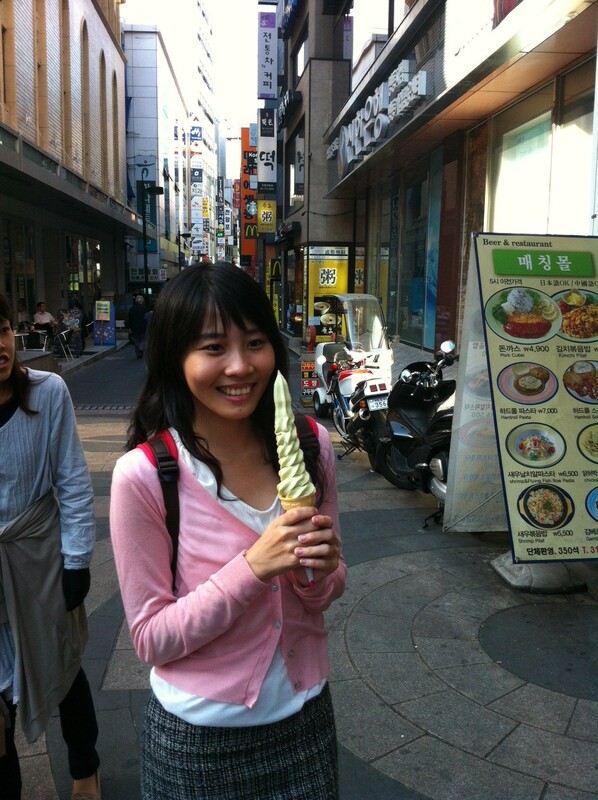 Seems interesting because it says something like this "30 cm tall soft ice cream". So, we tried it for 1,500won each. My ice cream is green tea flavour (녹차 아이스크림).